SUNDAY, Feb. 4, 2018 (HealthDay News) — Heart disease is a leading cause of death in the United States, but there are a number of things you can do to protect yourself, a cardiologist says. “Heart disease kills hundreds of thousands of Americans each year, but many of these conditions are preventable,” said researcher Dr. David Slotwiner, chief of the division of cardiology at NewYork-Presbyterian Queens. “Exercise, a balanced diet and avoiding high-risk activities like smoking are some of the best ways to keep your heart healthy,” he said in a hospital news release. Slotwiner’s cardiology team offered the following tips on preventing heart disease, for February, which is Heart Health Month. Don’t smoke. Exposure to tobacco smoke contributes to about 34,000 premature heart disease deaths a year, according to the American Heart Association. Get enough sleep — seven to eight hours a night. If you have sleep apnea, get it treated. 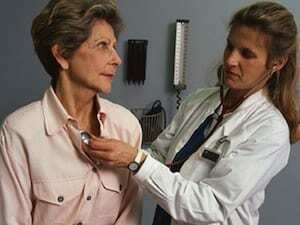 The condition is linked to heart rhythm problems and heart disease.